This unit is urban loft living at its finest! Marshall Wells Loft Penthouse with south facing view, original timber beams, soaring fir ceilings, exposed duct work and custom built ins. 2 bedroom, 2 full bathroom loft is 2 levels with a private deck with views of the city and West Hills. Comes with 2 deeded parking spaces and a deeded storage unit. Historic building with tax abatement until 2016. Contact me to schedule a showing! 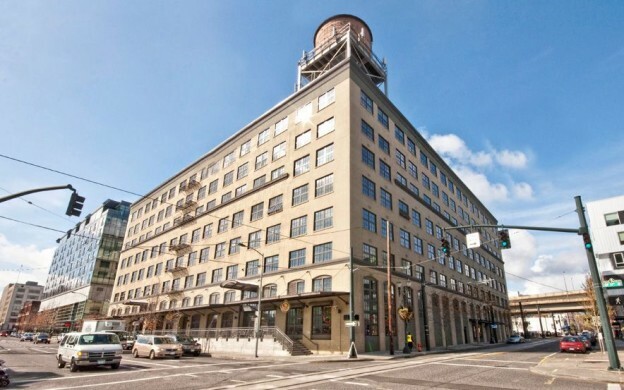 This entry was posted in Listing and tagged 2 bedroom, condo, laurie gilmer, Pearl, Penthouse, Pocket, Portland, think real estate on February 24, 2015 by lgilmer. 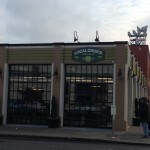 Many Pearl residents (myself included) have been anxiously awaiting the arrival of Local Choice Market (I know I have). It is a locally owned market focusing on supplying consumers with local produce, meat, seafood, and grocery items. They have a coffee and wine bar, Farmatherapy bar (smoothie and juice bar), and deli. They support locally sourced food and local suppliers first and then if items are not available locally, they will support non-local items only if available in good supply, excellent quality and at reasonable prices from local suppliers. So we set out to check out the market today. Great looking space with tables for deli items, beer and wine bar, and windows that will roll up during the summer. Nice spacious layout and great customer service. My complaints would be there they were really lacking in inventory. No beans, rice, tofu, pet supplies, and pretty much most “middle aisles” items. I was looking for a sauce like, Cafe Yumm sauce (since that is local) but nothing. Also, prices were pretty high. Salad dressing that I get at Zupans for $5.50 was $7.50, granola for $13.50, and hummus for $7. I certainly will pay more to support local brands, but these prices are more an occasional splurge vs. doing my regular shopping. Kellie had a bowl of Chicken Minestrone soup for $6 but said it was mostly broth and some finely shaved veges. We will certainly go back and I do think that more inventory will come in. I certainly want it to be a success but I hope they are able to balance special items and more reasonably priced goods. This entry was posted in Local Business and tagged business, local, Pearl on January 13, 2013 by lgilmer.